This jolly project is worked in cross stitch with some additional backstitch outlining. 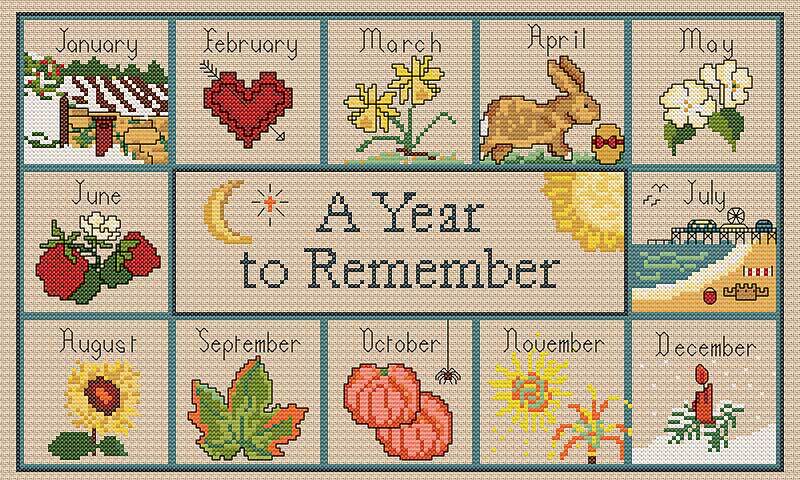 With a motif for every month, it is a very useful chart to own, as you will be able to produce a seasonal card at the drop of a hat! It may be stitched on linen or Aida fabric.